Here is an java applet which lets you see the effect of sampling frequency and reconstruction of the signal. The signal is sampled, then goes through a low pass. You will see here what happens when sampling frequency is not large enough and the replicated spectrum overlap. In coming to this new format, I had to leave behind the board which has over 2000 members. There were quite a lot of people on it and I am sorry that it will not be accessible any more. However, this format may work even better, as now the discussions will be grouped by topic. For general questions, help etc. from others, please use the main page. I have posted part 3 of the FFT tutorial at complextoreal.com. finding a set of basis harmonics and then finally the Discrete-time Fourier Transform. The tutorial also includes Matlab code. Let me know if I succeeded in making this topic easy(er) to grasp. I have uploaded a new version of the Fourier Made Easy part 2 tutorial. In this version, I have included more examples as well as Matlab code to plot some of the key pictures. I get requests to include code, so I am going through my old work and including it as I can. I use Coware SPW for most of my “real” work and from it I can only include the pictures. Its purely block orientated and has no code to share. This tutorial can be used for classroom use as well for anyone wanting to brush up on transform theory. I am now helped in my work by Victor Levin, my son. He did the Matlab codes in this tutorial. Victor is a graduate student in EE at Georgia Tech. He is currently a TA at the Metz, France campus of GTech. I recently went to France and saw the GTech campus and facilities. Very nice! I have posted the final (nearly so) version of my MIMO tutorial. It took a while. In the writing of this paper, I relied heavily on a few books and papers. The three books I often found myself thumbing through, in order are: Wireless Communications by Andrea Goldsmith, Fundamentals of Wireless Communications by D. Tse and P. Viswanath and Digital Communications by Proakis, 5th Edition. The examples used in this paper are inspired by the Andrea Goldsmith book, the one I consider the best. She has a lot of examples in her book which truly help with understanding. 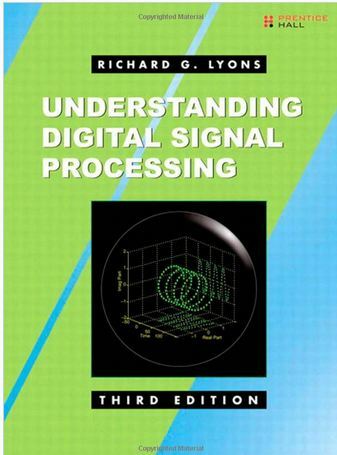 The other three books that I also found helpful were: Digital Communications by Barry, Less and Messerschmitt, Introduction to Space-Time Wireless Communications by Paulraj, Nabar and Gore and MIMO-OFDM Wireless Communications with Matlab book by Yong Soo-Cho, and Won Young Yan. I used the Matlab code in this book to create some of the graphs. With papers, the one I read several times was by Gesbert’s and the one by Foschini. I read many others but these two standout. 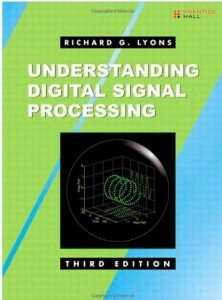 Agilent also has an excellent tutorial online. And of course the David Tse video lectures are fantastic. (See link below) He is quite funny! IEEE also has an audio lecture that is excellent. It took me a while to get all my ideas together and I read many papers and checked nearly all the books written on the topic. While writing about these, I often could not figure out who the original source was. This is not good as I do want to credit to whom it is is due. If you the reader feel that I have not properly credited you or someone else in this paper, please do let me know. In writing, Bernard wrote the first draft and then I added and subtracted from it. We are to do a book for Prentice Hall but the schedule is all gone out the window now. Hopefully it happens to other authors too. The MIMO paper is now nearly 50 pages long but it is still lacking in many areas. I was not able to cover STC decoding, nor the code performance issues. The section on multi-user is also short. But I hope that what is here will help illuminate the topic and get you started. I have post a completed version of the MIMO tutorial on complextoreal.com.